The All-New Kia Sportage is the perfect blend of style, versatility, and reliability. Inside the Kia Sportage, drivers will be met with a technology-filled, spacious, and comfortable interior. The Sportage also perfectly combines safety and style. Depending on your driving style and needs, Kia has designed the Sportage with a variety of engine options to provide you with the engine to best fit you. The new Kia Sportage delivers on every level. Many milestones include 2014 KBB Brand Image Award for Best Value Brand, a NHTSA overall 5-star Safety Rating, the title of Highest-Ranked Small SUV in Initial Quality in a Tie by J.D. Power, and a spot on the list of Top 50 Best Global Green Brands. If you've been looking for a new Kia Sportage in Manchester, NH, look no further. Come visit us today at Quirk Kia of Manchester, NH and let our friendly and professional staff help find the perfect Sportage for you! Delivers 30 Highway MPG and 23 City MPG! This Kia Sportage boasts a Regular Unleaded I-4 2.4 L/144 engine powering this Automatic transmission. PACIFIC BLUE, OPTION GROUP 010 -inc: standard equipment, CARPET FLOOR MATS. *This Kia Sportage Comes Equipped with These Options *BLACK, UPGRADED CLOTH SEAT TRIM -inc: YES Essentials -inc: YES Essentials, BLACK, CLOTH SEAT TRIM -inc: YES Essentials, Wheels: 17 Alloy, Wheels w/Silver Accents, Vinyl Door Trim Insert, Variable intermittent wipers, Urethane Gear Shift Knob, Trip computer, Transmission: Electronic 6-Speed Automatic w/OD -inc: sportmatic shifting,, Transmission w/Driver Selectable Mode. * Stop By Today *For a must-own Kia Sportage come see us at Quirk Kia NH, 1300 South Porter Street, Manchester, NH 03103. Just minutes away! Delivers 30 Highway MPG and 23 City MPG! This Kia Sportage boasts a Regular Unleaded I-4 2.4 L/144 engine powering this Automatic transmission. OPTION GROUP 010 -inc: standard equipment, CLEAR WHITE, CARPET FLOOR MATS. *This Kia Sportage Comes Equipped with These Options *BLACK, UPGRADED CLOTH SEAT TRIM -inc: YES Essentials -inc: YES Essentials, BLACK, CLOTH SEAT TRIM -inc: YES Essentials, Wheels: 17 Alloy, Wheels w/Silver Accents, Vinyl Door Trim Insert, Variable intermittent wipers, Urethane Gear Shift Knob, Trip computer, Transmission: Electronic 6-Speed Automatic w/OD -inc: sportmatic shifting,, Transmission w/Driver Selectable Mode. * Visit Us Today *Come in for a quick visit at Quirk Kia NH, 1300 South Porter Street, Manchester, NH 03103 to claim your Kia Sportage! Delivers 30 Highway MPG and 23 City MPG! This Kia Sportage boasts a Regular Unleaded I-4 2.4 L/144 engine powering this Automatic transmission. OPTION GROUP 010 -inc: standard equipment, CARPET FLOOR MATS, BLACK, UPGRADED CLOTH SEAT TRIM -inc: YES Essentials -inc: YES Essentials. *This Kia Sportage Comes Equipped with These Options *BLACK, CLOTH SEAT TRIM -inc: YES Essentials, BLACK CHERRY, Wheels: 17 Alloy, Wheels w/Silver Accents, Vinyl Door Trim Insert, Variable intermittent wipers, Urethane Gear Shift Knob, Trip computer, Transmission: Electronic 6-Speed Automatic w/OD -inc: sportmatic shifting,, Transmission w/Driver Selectable Mode. * Visit Us Today *Come in for a quick visit at Quirk Kia NH, 1300 South Porter Street, Manchester, NH 03103 to claim your Kia Sportage! Delivers 25 Highway MPG and 21 City MPG! This Kia Sportage boasts a Regular Unleaded I-4 2.4 L/144 engine powering this Automatic transmission. PACIFIC BLUE, CARPET FLOOR MATS, BLACK, UPGRADED CLOTH SEAT TRIM -inc: YES Essentials -inc: YES Essentials. *This Kia Sportage Comes Equipped with These Options *BLACK, CLOTH SEAT TRIM -inc: YES Essentials, Wheels: 17 Alloy, Wheels w/Silver Accents, Vinyl Door Trim Insert, Variable intermittent wipers, Urethane Gear Shift Knob, Trip computer, Transmission: Electronic 6-Speed Automatic w/OD -inc: sportmatic shifting,, Transmission w/Driver Selectable Mode, Tires: P225/60R17. * Stop By Today *Treat yourself- stop by Quirk Kia NH located at 1300 South Porter Street, Manchester, NH 03103 to make this car yours today! Boasts 25 Highway MPG and 21 City MPG! This Kia Sportage boasts a Regular Unleaded I-4 2.4 L/144 engine powering this Automatic transmission. PACIFIC BLUE, CARPET FLOOR MATS, BLACK, UPGRADED CLOTH SEAT TRIM -inc: YES Essentials -inc: YES Essentials. * This Kia Sportage Features the Following Options *BLACK, CLOTH SEAT TRIM -inc: YES Essentials, Wheels: 17 Alloy, Wheels w/Silver Accents, Vinyl Door Trim Insert, Variable intermittent wipers, Urethane Gear Shift Knob, Trip computer, Transmission: Electronic 6-Speed Automatic w/OD -inc: sportmatic shifting,, Transmission w/Driver Selectable Mode, Tires: P225/60R17. * Visit Us Today *For a must-own Kia Sportage come see us at Quirk Kia NH, 1300 South Porter Street, Manchester, NH 03103. Just minutes away! Boasts 25 Highway MPG and 21 City MPG! This Kia Sportage boasts a Regular Unleaded I-4 2.4 L/144 engine powering this Automatic transmission. OPTION GROUP 010 -inc: standard equipment, CLEAR WHITE, CARPET FLOOR MATS. * This Kia Sportage Features the Following Options *BLACK, UPGRADED CLOTH SEAT TRIM -inc: YES Essentials -inc: YES Essentials, BLACK, CLOTH SEAT TRIM -inc: YES Essentials, Wheels: 17 Alloy, Wheels w/Silver Accents, Vinyl Door Trim Insert, Variable intermittent wipers, Urethane Gear Shift Knob, Trip computer, Transmission: Electronic 6-Speed Automatic w/OD -inc: sportmatic shifting,, Transmission w/Driver Selectable Mode. * Visit Us Today *A short visit to Quirk Kia NH located at 1300 South Porter Street, Manchester, NH 03103 can get you a trustworthy Sportage today! Scores 25 Highway MPG and 21 City MPG! This Kia Sportage boasts a Regular Unleaded I-4 2.4 L/144 engine powering this Automatic transmission. SPARKLING SILVER, OPTION GROUP 010 -inc: standard equipment, CARPET FLOOR MATS. * This Kia Sportage Features the Following Options *BLACK, UPGRADED CLOTH SEAT TRIM -inc: YES Essentials -inc: YES Essentials, BLACK, CLOTH SEAT TRIM -inc: YES Essentials, Wheels: 17 Alloy, Wheels w/Silver Accents, Vinyl Door Trim Insert, Variable intermittent wipers, Urethane Gear Shift Knob, Trip computer, Transmission: Electronic 6-Speed Automatic w/OD -inc: sportmatic shifting,, Transmission w/Driver Selectable Mode. * Visit Us Today *A short visit to Quirk Kia NH located at 1300 South Porter Street, Manchester, NH 03103 can get you a trustworthy Sportage today! Boasts 25 Highway MPG and 21 City MPG! This Kia Sportage delivers a Regular Unleaded I-4 2.4 L/144 engine powering this Automatic transmission. SPARKLING SILVER, OPTION GROUP 010 -inc: standard equipment, CARPET FLOOR MATS. *This Kia Sportage Comes Equipped with These Options *BLACK, UPGRADED CLOTH SEAT TRIM -inc: YES Essentials -inc: YES Essentials, BLACK, CLOTH SEAT TRIM -inc: YES Essentials, Wheels: 17 Alloy, Wheels w/Silver Accents, Vinyl Door Trim Insert, Variable intermittent wipers, Urethane Gear Shift Knob, Trip computer, Transmission: Electronic 6-Speed Automatic w/OD -inc: sportmatic shifting,, Transmission w/Driver Selectable Mode. * Stop By Today *Test drive this must-see, must-drive, must-own beauty today at Quirk Kia NH, 1300 South Porter Street, Manchester, NH 03103. Delivers 25 Highway MPG and 21 City MPG! This Kia Sportage delivers a Regular Unleaded I-4 2.4 L/144 engine powering this Automatic transmission. PACIFIC BLUE, OPTION GROUP 010 -inc: standard equipment, CARPET FLOOR MATS. *This Kia Sportage Comes Equipped with These Options *BLACK, UPGRADED CLOTH SEAT TRIM -inc: YES Essentials -inc: YES Essentials, BLACK, CLOTH SEAT TRIM -inc: YES Essentials, Wheels: 17 Alloy, Wheels w/Silver Accents, Vinyl Door Trim Insert, Variable intermittent wipers, Urethane Gear Shift Knob, Trip computer, Transmission: Electronic 6-Speed Automatic w/OD -inc: sportmatic shifting,, Transmission w/Driver Selectable Mode. * Stop By Today *A short visit to Quirk Kia NH located at 1300 South Porter Street, Manchester, NH 03103 can get you a tried-and-true Sportage today! Boasts 25 Highway MPG and 21 City MPG! This Kia Sportage boasts a Regular Unleaded I-4 2.4 L/144 engine powering this Automatic transmission. SPARKLING SILVER, OPTION GROUP 010 -inc: standard equipment, CARPET FLOOR MATS. * This Kia Sportage Features the Following Options *BLACK, UPGRADED CLOTH SEAT TRIM -inc: YES Essentials -inc: YES Essentials, BLACK, CLOTH SEAT TRIM -inc: YES Essentials, Wheels: 17 Alloy, Wheels w/Silver Accents, Vinyl Door Trim Insert, Variable intermittent wipers, Urethane Gear Shift Knob, Trip computer, Transmission: Electronic 6-Speed Automatic w/OD -inc: sportmatic shifting,, Transmission w/Driver Selectable Mode. * Stop By Today *For a must-own Kia Sportage come see us at Quirk Kia NH, 1300 South Porter Street, Manchester, NH 03103. Just minutes away! Scores 25 Highway MPG and 21 City MPG! This Kia Sportage delivers a Regular Unleaded I-4 2.4 L/144 engine powering this Automatic transmission. OPTION GROUP 010 -inc: standard equipment, CLEAR WHITE, CARPET FLOOR MATS. *This Kia Sportage Comes Equipped with These Options *BLACK, UPGRADED CLOTH SEAT TRIM -inc: YES Essentials -inc: YES Essentials, BLACK, CLOTH SEAT TRIM -inc: YES Essentials, Wheels: 17 Alloy, Wheels w/Silver Accents, Vinyl Door Trim Insert, Variable intermittent wipers, Urethane Gear Shift Knob, Trip computer, Transmission: Electronic 6-Speed Automatic w/OD -inc: sportmatic shifting,, Transmission w/Driver Selectable Mode. * Stop By Today *Come in for a quick visit at Quirk Kia NH, 1300 South Porter Street, Manchester, NH 03103 to claim your Kia Sportage! Boasts 25 Highway MPG and 21 City MPG! This Kia Sportage boasts a Regular Unleaded I-4 2.4 L/144 engine powering this Automatic transmission. OPTION GROUP 010 -inc: standard equipment, CLEAR WHITE, CARPET FLOOR MATS. *This Kia Sportage Comes Equipped with These Options *BLACK, UPGRADED CLOTH SEAT TRIM -inc: YES Essentials -inc: YES Essentials, BLACK, CLOTH SEAT TRIM -inc: YES Essentials, Wheels: 17 Alloy, Wheels w/Silver Accents, Vinyl Door Trim Insert, Variable intermittent wipers, Urethane Gear Shift Knob, Trip computer, Transmission: Electronic 6-Speed Automatic w/OD -inc: sportmatic shifting,, Transmission w/Driver Selectable Mode. * Stop By Today *Come in for a quick visit at Quirk Kia NH, 1300 South Porter Street, Manchester, NH 03103 to claim your Kia Sportage! Delivers 25 Highway MPG and 21 City MPG! This Kia Sportage boasts a Regular Unleaded I-4 2.4 L/144 engine powering this Automatic transmission. PACIFIC BLUE, CARPET FLOOR MATS, BLACK, UPGRADED CLOTH SEAT TRIM -inc: YES Essentials -inc: YES Essentials. *This Kia Sportage Comes Equipped with These Options *BLACK, CLOTH SEAT TRIM -inc: YES Essentials, Wheels: 17 Alloy, Wheels w/Silver Accents, Vinyl Door Trim Insert, Variable intermittent wipers, Urethane Gear Shift Knob, Trip computer, Transmission: Electronic 6-Speed Automatic w/OD -inc: sportmatic shifting,, Transmission w/Driver Selectable Mode, Tires: P225/60R17. * Visit Us Today *A short visit to Quirk Kia NH located at 1300 South Porter Street, Manchester, NH 03103 can get you a trustworthy Sportage today! Delivers 25 Highway MPG and 21 City MPG! This Kia Sportage delivers a Regular Unleaded I-4 2.4 L/144 engine powering this Automatic transmission. PACIFIC BLUE, OPTION GROUP 010 -inc: standard equipment, CARPET FLOOR MATS. *This Kia Sportage Comes Equipped with These Options *BLACK, UPGRADED CLOTH SEAT TRIM -inc: YES Essentials -inc: YES Essentials, BLACK, CLOTH SEAT TRIM -inc: YES Essentials, Wheels: 17 Alloy, Wheels w/Silver Accents, Vinyl Door Trim Insert, Variable intermittent wipers, Urethane Gear Shift Knob, Trip computer, Transmission: Electronic 6-Speed Automatic w/OD -inc: sportmatic shifting,, Transmission w/Driver Selectable Mode. * Stop By Today *For a must-own Kia Sportage come see us at Quirk Kia NH, 1300 South Porter Street, Manchester, NH 03103. Just minutes away! Scores 25 Highway MPG and 21 City MPG! This Kia Sportage delivers a Regular Unleaded I-4 2.4 L/144 engine powering this Automatic transmission. PACIFIC BLUE, OPTION GROUP 010 -inc: standard equipment, CARPET FLOOR MATS. * This Kia Sportage Features the Following Options *BLACK, UPGRADED CLOTH SEAT TRIM -inc: YES Essentials -inc: YES Essentials, BLACK, CLOTH SEAT TRIM -inc: YES Essentials, Wheels: 17 Alloy, Wheels w/Silver Accents, Vinyl Door Trim Insert, Variable intermittent wipers, Urethane Gear Shift Knob, Trip computer, Transmission: Electronic 6-Speed Automatic w/OD -inc: sportmatic shifting,, Transmission w/Driver Selectable Mode. * Visit Us Today *Stop by Quirk Kia NH located at 1300 South Porter Street, Manchester, NH 03103 for a quick visit and a great vehicle! Scores 25 Highway MPG and 21 City MPG! This Kia Sportage delivers a Regular Unleaded I-4 2.4 L/144 engine powering this Automatic transmission. PACIFIC BLUE, OPTION GROUP 010 -inc: standard equipment, CARPET FLOOR MATS. * This Kia Sportage Features the Following Options *BLACK, UPGRADED CLOTH SEAT TRIM -inc: YES Essentials -inc: YES Essentials, BLACK, CLOTH SEAT TRIM -inc: YES Essentials, Wheels: 17 Alloy, Wheels w/Silver Accents, Vinyl Door Trim Insert, Variable intermittent wipers, Urethane Gear Shift Knob, Trip computer, Transmission: Electronic 6-Speed Automatic w/OD -inc: sportmatic shifting,, Transmission w/Driver Selectable Mode. * Visit Us Today *You've earned this- stop by Quirk Kia NH located at 1300 South Porter Street, Manchester, NH 03103 to make this car yours today! Scores 25 Highway MPG and 21 City MPG! This Kia Sportage delivers a Regular Unleaded I-4 2.4 L/144 engine powering this Automatic transmission. OPTION GROUP 010 -inc: standard equipment, CARPET FLOOR MATS, BURNISHED COPPER. * This Kia Sportage Features the Following Options *BLACK, UPGRADED CLOTH SEAT TRIM -inc: YES Essentials -inc: YES Essentials, BLACK, CLOTH SEAT TRIM -inc: YES Essentials, Wheels: 17 Alloy, Wheels w/Silver Accents, Vinyl Door Trim Insert, Variable intermittent wipers, Urethane Gear Shift Knob, Trip computer, Transmission: Electronic 6-Speed Automatic w/OD -inc: sportmatic shifting,, Transmission w/Driver Selectable Mode. * Visit Us Today *Stop by Quirk Kia NH located at 1300 South Porter Street, Manchester, NH 03103 for a quick visit and a great vehicle! Scores 25 Highway MPG and 21 City MPG! This Kia Sportage boasts a Regular Unleaded I-4 2.4 L/144 engine powering this Automatic transmission. PACIFIC BLUE, OPTION GROUP 010 -inc: standard equipment, CARPET FLOOR MATS. * This Kia Sportage Features the Following Options *BLACK, UPGRADED CLOTH SEAT TRIM -inc: YES Essentials -inc: YES Essentials, BLACK, CLOTH SEAT TRIM -inc: YES Essentials, Wheels: 17 Alloy, Wheels w/Silver Accents, Vinyl Door Trim Insert, Variable intermittent wipers, Urethane Gear Shift Knob, Trip computer, Transmission: Electronic 6-Speed Automatic w/OD -inc: sportmatic shifting,, Transmission w/Driver Selectable Mode. * Stop By Today *Test drive this must-see, must-drive, must-own beauty today at Quirk Kia NH, 1300 South Porter Street, Manchester, NH 03103. Boasts 25 Highway MPG and 21 City MPG! This Kia Sportage boasts a Regular Unleaded I-4 2.4 L/144 engine powering this Automatic transmission. SPARKLING SILVER, OPTION GROUP 010 -inc: standard equipment, CARPET FLOOR MATS. *This Kia Sportage Comes Equipped with These Options *CARGO NET, BLACK, UPGRADED CLOTH SEAT TRIM -inc: YES Essentials -inc: YES Essentials, BLACK, CLOTH SEAT TRIM -inc: YES Essentials, Wheels: 17 Alloy, Wheels w/Silver Accents, Vinyl Door Trim Insert, Variable intermittent wipers, Urethane Gear Shift Knob, Trip computer, Transmission: Electronic 6-Speed Automatic w/OD -inc: sportmatic shifting,. * Visit Us Today *Stop by Quirk Kia NH located at 1300 South Porter Street, Manchester, NH 03103 for a quick visit and a great vehicle! Delivers 25 Highway MPG and 21 City MPG! This Kia Sportage boasts a Regular Unleaded I-4 2.4 L/144 engine powering this Automatic transmission. STEEL GRAY, OPTION GROUP 010 -inc: standard equipment, CARPET FLOOR MATS. * This Kia Sportage Features the Following Options *CARGO NET, BLACK, UPGRADED CLOTH SEAT TRIM -inc: YES Essentials -inc: YES Essentials, BLACK, CLOTH SEAT TRIM -inc: YES Essentials, Wheels: 17 Alloy, Wheels w/Silver Accents, Vinyl Door Trim Insert, Variable intermittent wipers, Urethane Gear Shift Knob, Trip computer, Transmission: Electronic 6-Speed Automatic w/OD -inc: sportmatic shifting,. 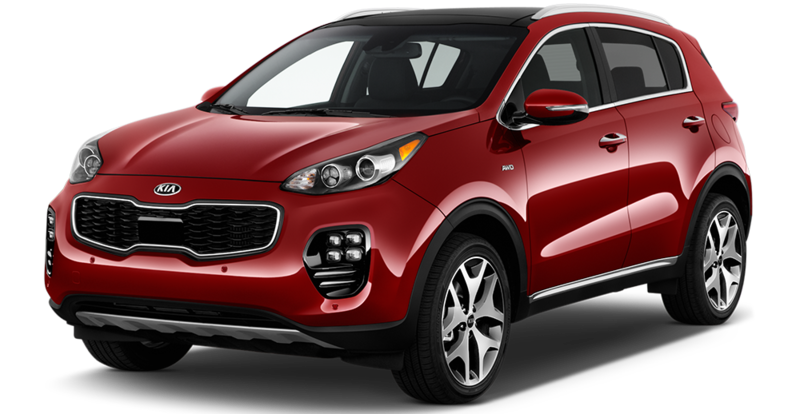 * Visit Us Today *For a must-own Kia Sportage come see us at Quirk Kia NH, 1300 South Porter Street, Manchester, NH 03103. Just minutes away! Delivers 25 Highway MPG and 21 City MPG! This Kia Sportage boasts a Regular Unleaded I-4 2.4 L/144 engine powering this Automatic transmission. OPTION GROUP 010 -inc: standard equipment, CLEAR WHITE, CARPET FLOOR MATS. * This Kia Sportage Features the Following Options *BLACK, CLOTH SEAT TRIM -inc: YES Essentials, Wheels: 17 Alloy, Wheels w/Silver Accents, Vinyl Door Trim Insert, Variable intermittent wipers, Urethane Gear Shift Knob, Trip computer, Transmission: Electronic 6-Speed Automatic w/OD -inc: sportmatic shifting,, Transmission w/Driver Selectable Mode, Tires: P225/60R17. * Stop By Today *You've earned this- stop by Quirk Kia NH located at 1300 South Porter Street, Manchester, NH 03103 to make this car yours today! Scores 25 Highway MPG and 21 City MPG! This Kia Sportage delivers a Regular Unleaded I-4 2.4 L/144 engine powering this Automatic transmission. OPTION GROUP 010 -inc: standard equipment, GRAY, CLOTH SEAT TRIM -inc: YES Essentials, CLEAR WHITE. * This Kia Sportage Features the Following Options *CARPET FLOOR MATS, Wheels: 17 Alloy, Wheels w/Silver Accents, Vinyl Door Trim Insert, Variable intermittent wipers, Urethane Gear Shift Knob, Trip computer, Transmission: Electronic 6-Speed Automatic w/OD -inc: sportmatic shifting,, Transmission w/Driver Selectable Mode, Tires: P225/60R17. * Visit Us Today *Test drive this must-see, must-drive, must-own beauty today at Quirk Kia NH, 1300 South Porter Street, Manchester, NH 03103. Delivers 25 Highway MPG and 21 City MPG! This Kia Sportage boasts a Regular Unleaded I-4 2.4 L/144 engine powering this Automatic transmission. OPTION GROUP 010 -inc: standard equipment, GRAY, CLOTH SEAT TRIM -inc: YES Essentials, CLEAR WHITE. *This Kia Sportage Comes Equipped with These Options *CARPET FLOOR MATS, Wheels: 17 Alloy, Wheels w/Silver Accents, Vinyl Door Trim Insert, Variable intermittent wipers, Urethane Gear Shift Knob, Trip computer, Transmission: Electronic 6-Speed Automatic w/OD -inc: sportmatic shifting,, Transmission w/Driver Selectable Mode, Tires: P225/60R17. * Visit Us Today *Stop by Quirk Kia NH located at 1300 South Porter Street, Manchester, NH 03103 for a quick visit and a great vehicle! Scores 25 Highway MPG and 21 City MPG! This Kia Sportage boasts a Regular Unleaded I-4 2.4 L/144 engine powering this Automatic transmission. OPTION GROUP 010 -inc: standard equipment, CLEAR WHITE, CARPET FLOOR MATS. * This Kia Sportage Features the Following Options *BLACK, CLOTH SEAT TRIM -inc: YES Essentials, Wheels: 17 Alloy, Wheels w/Silver Accents, Vinyl Door Trim Insert, Variable intermittent wipers, Urethane Gear Shift Knob, Trip computer, Transmission: Electronic 6-Speed Automatic w/OD -inc: sportmatic shifting,, Transmission w/Driver Selectable Mode, Tires: P225/60R17. * Stop By Today *A short visit to Quirk Kia NH located at 1300 South Porter Street, Manchester, NH 03103 can get you a tried-and-true Sportage today! Delivers 25 Highway MPG and 21 City MPG! This Kia Sportage delivers a Regular Unleaded I-4 2.4 L/144 engine powering this Automatic transmission. PACIFIC BLUE, OPTION GROUP 010 -inc: standard equipment, GRAY, UPGRADED CLOTH SEAT TRIM -inc: YES Essentials -inc: YES Essentials. *This Kia Sportage Comes Equipped with These Options *GRAY, CLOTH SEAT TRIM -inc: YES Essentials, CARPET FLOOR MATS, Wheels: 17 Alloy, Wheels w/Silver Accents, Vinyl Door Trim Insert, Variable intermittent wipers, Urethane Gear Shift Knob, Trip computer, Transmission: Electronic 6-Speed Automatic w/OD -inc: sportmatic shifting,, Transmission w/Driver Selectable Mode. * Stop By Today *Test drive this must-see, must-drive, must-own beauty today at Quirk Kia NH, 1300 South Porter Street, Manchester, NH 03103. Quirk Kia of Manchester makes every effort to present information that is accurate. However, Quirk Kia of Manchester is not responsible for any errors or omissions. Picture may not represent actual vehicle. 0 cash down offers require only fees due at signing, KMF lease acq. fee, dealer doc fee, tags and first payment. All pricing includes all available rebates including Military Appreciation, Quirk Trade In Assistance, Kia Motor Company Rebates, Kia Motor Finance Rebates, and Quirk Discounts. Pricing based off Tier 1 Lease score, 720 FICO score with approved credit with KMF and 10K miles per year. 0% financing, in lieu of certain rebates, requires approved credit with KMF, and can not be combined with advertised pricing. Various offers can not be combined. All New 2019 Stinger, Cadenza and 2020 Telluride pricing also includes an Owner Loyalty/Competitive Bonus rebate, which buyers must qualify for. Residency restrictions apply. Must trade a 2010 or newer vehicle. Tax (where applicable), title, registration, and doc. fees are not included in vehicle prices. Dealer installed options are additional. Documentation fee of $399 is not included in price of vehicle. Terms and conditions . **With approved credit. Terms may vary. Monthly financing payments are only estimates derived from the vehicle price with a 72-month term 3.9% interest and 30% down payment. Please verify any information in question with Quirk Kia of Manchester by calling us at (603) 505-8870 or by visiting us. *Number of views in last 30 days Based on 2019 EPA mileage ratings. Use for comparison purposes only. Your actual mileage will vary depending on how you drive and maintain your vehicle. Stock#KS2381. Sale Ends 04-30-2019.